The 1988 San Diego mayoral election was held on June 7, 1988 to elect the mayor for San Diego. Incumbent mayor Maureen O'Connor stood for reelection. 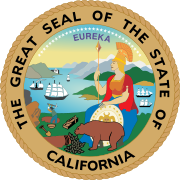 Municipal elections in California are officially non-partisan, though some candidates do receive funding and support from various political parties. The non-partisan primary was held June 7, 1988. Since the incumbent O'Connor received a majority of the primary votes, she was reelected outright with no need for a runoff. Incumbent mayor Maureen O'Connor was seen as the favorite going into the election. Former City Council member Floyd Morrow was considered her chief challenger, though he consistently polled well short of O'Connor. Morrow struggled to gain attention in the race, with O'Connor refusing to attend candidate forums where he might appear. On June 7, 1988, O'Connor received the majority of the votes and was re-elected mayor. Because O'Connor won a majority of the votes in the March primary, there was no need for a runoff in the November general election. ^ "How to Run for Office". The City of San Diego-Office of the City Clerk. Retrieved March 4, 2017. ^ a b c d e Ristine, Jeff (May 30, 1988). "Mayoral hopeful banking on voter 'volatility'". Evening Tribune (San Diego). Retrieved March 5, 2017. ^ Michael, Abrams (June 5, 1988). "Poll favors O'Connor 3-1 over Morrow". San Diego Union. Retrieved March 5, 2017. ^ a b "Election History - Mayor of San Diego" (PDF). City of San Diego. Retrieved March 5, 2017. This page was last edited on 25 December 2018, at 01:17 (UTC).